Over the past several years, there has been a shift away from polluting and harmful energy sources such as coal and fossil fuels towards renewable greener energy sources. With new sources of energy have been made widely available and cheaper than the past, many companies and industries have began utilizing these environmentally friendly energy sources. In fact in 2016, the amount of coal used worldwide fell by 6.5% from 2015. China, the U.S., and India are countries using the most coal and are responsible for almost half of all global greenhouse gas emissions. With coal being a main source for these damaging pollutants, this decrease in usage was having a great impact on the environment. So then what has caused the worlds largest coal users to boost coal mining in 2017? China, the United States, and India have all boosted their coal production and usage in the first half of 2017. When comparing coal usage data from these countries with the year before, there was an increase production of 121 million tons of coal from 2016. That is a six percent increase in the polluting and damaging energy source. The U.S.’s increase was the largest, increasing coal mining by 19 percent in the first five months of 2017. This is a complete divergence from the previous trend from the U.S. in particular who accounted for much of the decline in usage in 2015 and 2016. So what has caused this massive increase? The majority of the increase of coal production and usage in these three countries stems from a change in environmental policy. In India they have used coal as a cheap way to provide energy to more of its poor across the nation. In the U.S. Trump recently withdrew from the 2015 Paris climate change accord, but experts say this has had only a very minor effect on the coal usage and production in the States. China is coming out of an economic slump from 2015 and is producing more bridges, roads, and other construction project than ever before. These projects have required an increase in energy from the country. While coal is currently on the rise experts say that this will cap at 2020. 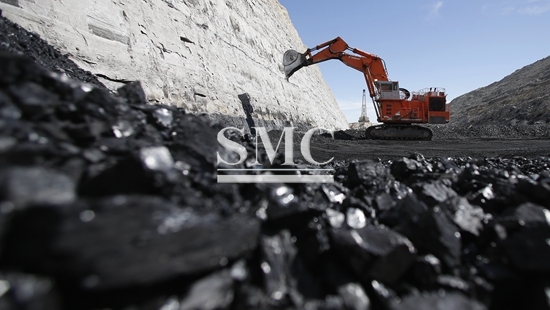 In 2020, the coal production and usage is expected to plateau and decline globally. China, has vowed to cap their coal usage completely by the year 2030, and until this recent increase was on track to cap it up to a decade earlier. However, India, who relies on coal for 70 percent of their electricity, is expected to increase their coal usage. While India’s usage may be increasing over the next few years, experts still believe that the future of coal is bleak, and other sources of energy will soon dominate the industry.